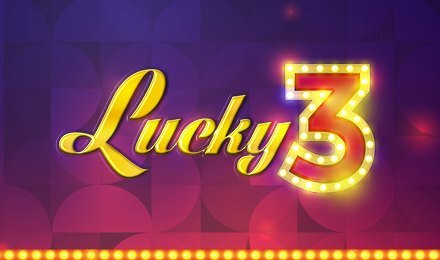 Plunge into the retro days at Wicked Jackpots by playing Lucky 3 slots! This classic themed slot game comes with 5 reels, 5 paylines and fruit symbols. Made by iSoftBet, this slot game brings the classic atmosphere, but it has a modern touch. On the reels, you will see only three symbols and these are lemons, cherries and melons! Enjoy this top slot game on either a tablet, a laptop or a mobile phone anytime! The gameplay of this slot game is rather simple; you have to land 5 identical symbols on active paylines of the game, to grab some grand wins! Bet Levels:No bet levels are available on this game. Amount of Paylines Selection: All of the 5 paylines are fixed and cannot be altered. Coin Values: Select any bet amounts which vary from £0.05 to £5.00. .
There’s a jackpot of 500 coins on this game! You can receive this lavish amount when a combination of 5 lemon symbols are seen on the reels, as you’ll be awarded a multiplier of 20x. The right hand-side of the reels shows a series of multipliers. You can win 1x, 2x, 3x, 4x or 5x multipliers when winning combinations are seen on the 1st, 2nd, 3rd, 4th or 5th paylines respectively.